Pokémon games always have big shoes to fill, given the long history of the series and the affection its players hold for its world and its games. Pokémon Sun and Moon, the latest installments, also may well be the first Pokémon console experience for many players, riding the hype wave of mobile hit Pokémon Go as it does. Luckily, the game delivers a lot for players both old and new, with plenty of familiar fun, but a fresh feeling world and replacement for the Gym system that brings new life to the franchise. 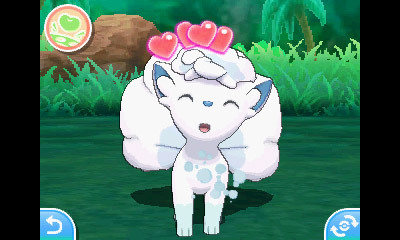 This latest 3DS Pokémon game brings the franchise to a set of islands that is pretty clearly based on Hawaii, called the ‘Alola Region’ in game. 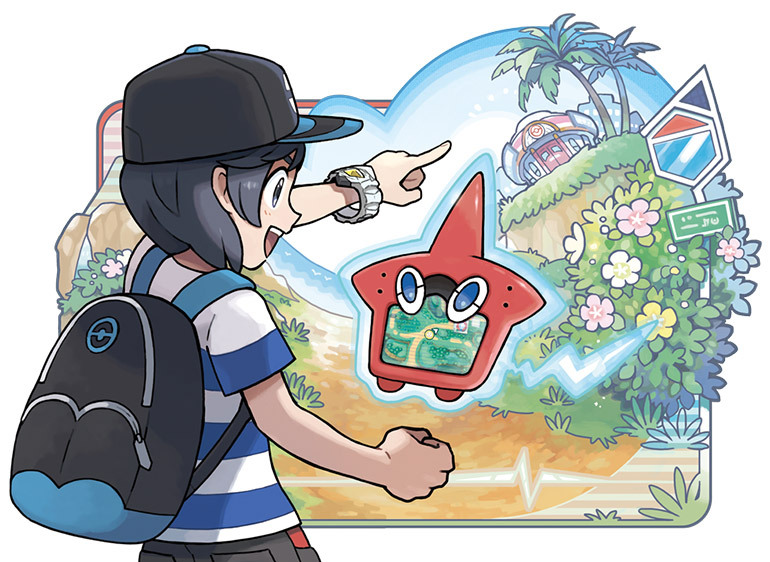 The tropical Alola environs include 4 main islands, and the sunny rolling hills you navigate across the setting make for a game pace that feels somehow more relaxed than usual. The game’s hero usually feels some kind of pressing need to “become the best” in Pokémon games, but this time around, the atmosphere seems distinctly more chill, which is actually a welcome change since it puts more focus on things like battle mechanics. The world also seems both more contained and more expansive, all at once. The islands occupy a more specific and manageable virtual space, making it easier to navigate by memory, but the angle of the camera while you’re walking around, the spacing of towns, trainers and tall grass patches and other subtle changes make circumnavigation of the world seem more spread out than in games past, which again helps with this new atmosphere that’s prone to a more relaxed pace of game play. The most startling change for longtime Pokémon fans might be that the Gym system of previous regions is gone from Sun and Moon. In its place, there’s a new Trial system, wherein you seek out locations where powerful Pokémon hold sway, and battle a series of weaker monsters to prepare for a battle with a single “totem” character who is more powerful. These aren’t controlled by trainers; they’re more like wild Pokémon you can’t catch. Totem Pokémon can call in allies, which basically turns battles into a two-on-one situation, and not in your favor. This definitely ups the stakes, but it’s still very different from facing a number of trainers with multiple Pokémon each in a Gym in preparation for a battle with a leader at the top. Defeating these totem Pokémon paves the way for you facing off against the “kahuna” of each island, in what’s called a Grand Trial. This is a more traditional trainer battle, and clearing this is essentially like clearing a Gym in the old game – it unlocks access to the next region, and renders rewards that allow you to control higher level Pokémon. In place of badges are Z-Crystals, which are better in that they award you actual new abilities instead of just bragging rights. Z-Crystals will power up certain Pokémon moves, for one use per battle only, when held by Pokémon and activated using your trainer’s Z-Ring (plus a special dance move of some kind). Using Z-Crystals is a lot like using Mega Evolutions in Pokémon X and Y – the only difference is that they’re single-use, whereas a Mega Evolution changes your Pokémon throughout the course of a battle. 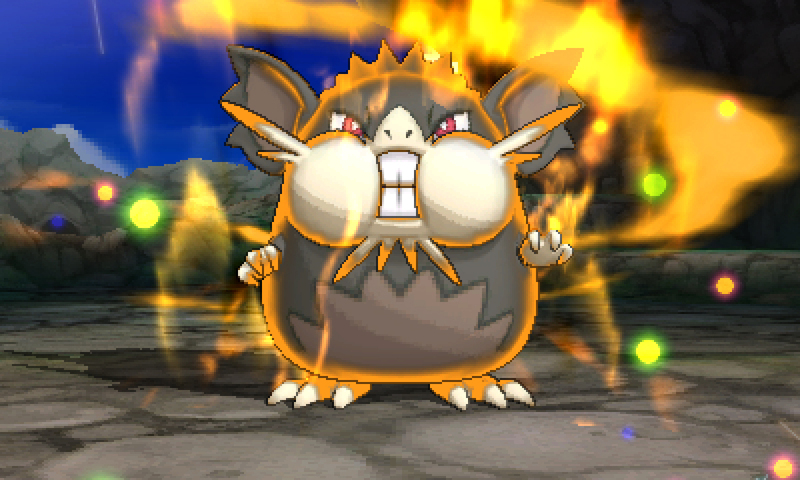 They amp up one move of a specific type, with each type of Z-Crystal applying to a different elemental Pokémon type. These are very powerful moves, and can definitely turn the tide of a battle if used intelligently. Also new to Pokémon Sun and Moon is a system called Pokémon Refresh. This lets you pamper and feed your pets, as you would as a responsible human being in the real world. It’s a very Tamagotchi-like interface, which uses the touchscreen to let you clean up your creatures post-battle, or even heal status conditions like paralysis, sleep or a burn using just a wand, time and taps. I actually love the inclusion of Refresh, because it means you can easily deal with status conditions out on the road when you’re far from a Pokémon Center, without having to burn through healing items or spend money to stockpile the same. Refresh takes time, but it’s a lot easier than traipsing all the way back to a Center in most cases, especially early on the in the game when your transport options are few. Refresh also helps you boost your Pokémon through better bonding, but it’s something you can also safely ignore if you’d rather not spend the time. It’s exactly the type of side feature that I welcome in these games: additive, without being overly time consuming (as was Super Training) but also ultimately optional. Also new in Pokémon Sun and Moon is an anthropomorphized Pokédex; your trainer is the lucky recipient of a Pokédex infused with an energy-based Pokémon, which turns it into a living thing. This is weird, but it’s typical Pokémon weird and it fits with the franchise. The Pokémon-infused Rotom Pokédex then becomes a kind of tutorial helper, giving you tips throughout your journey and adding commentary at key plot points via the bottom screen. It can definitely be helpful, and in some ways makes more narrative sense than having random people call you or bump into you just to tell you some small thing about this particular fork in the road. At the same time, I found myself being annoyed by Rotom more often than not – my Pokédex used to be a trusty, reliable tool, and now it was interjecting and saying random nonsense, sometimes when I wanted to actually use the thing most. When you want to play with others, Pokémon Sun and Moon have also changed things up. 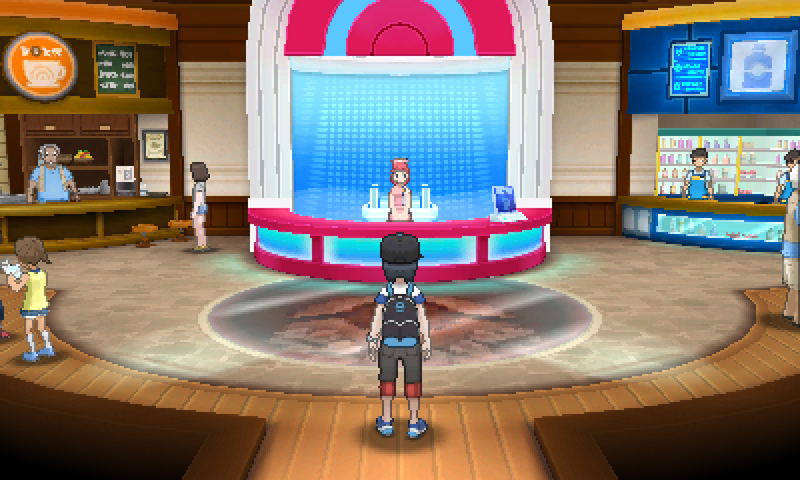 The multiplayer features are mostly resident in the new Festival Plaza area, which is always available, and which includes a number of shops, its own currency cooperative missions and more. Plaza is like an expanded version of the multiplayer features in X and Y, with a whole second world to explore that makes it seem more like a complete alternate game mode to the single-player campaign. It’s a rich world, and one that you can actually do a lot with even if you’re not actually engaging in any multiplayer battles, thanks to a visitor system that rewards you with coins just for telling people where they can go to do some shopping or play games. Again, this is the perfect Pokémon add-on feature – it’s rich and engaging, but also something you can ignore completely if you want to just focus on the main single-player game. A final welcome change is that a lot of terrain traversal that was previously unlocked via HMs, which bogged down your Pokémon with not-so-great moves that were hard to delete on demand is now handled via Pokémon you can ride whenever you want. 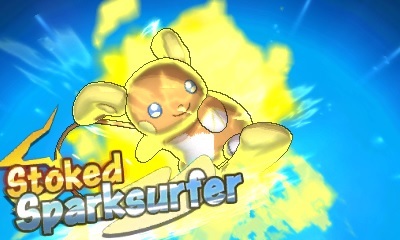 These aren’t your own Pokémon, but instead are creatures you can call whenever you want (once you unlock them) to ride around the Alola world. Each has its own ability, like the power to smash through walks or cross water. 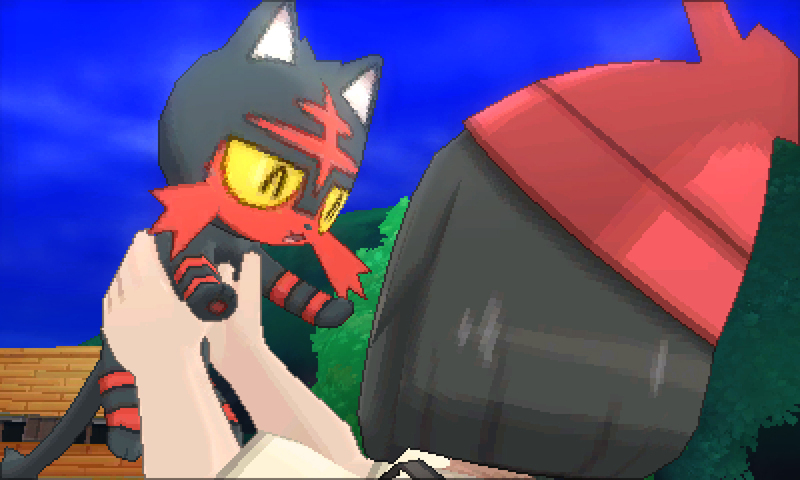 It’s a refinement of mechanics that have been in the game since the very beginning, and another example of why Sun and Moon represent one of the biggest overall changes to the series to date. It also removes one of the part of Pokémon that felt very much like an unneccessary punishment or chore – managing HMs. This is a Pokémon game, and players who’ve grown to love the series won’t be disappointed by what’s on offer here. But it’s also more different from its predecessors than any other Pokémon game (barring spin-offs from the main series, of course). Things that players have come to accept as default parts of the Pokémon experience, including Gyms and terrain traversal, are either fundamentally changed or not present at all. Other core annoyances are also fixed – you can actually add Pokémon you catch right to your party in the field, and send back another member of your team to the Pokémon storage box instead. All of that, combined with the laid back vibe, make this one of the smoothest and most enjoyable Pokémon play experiences ever. A lot of new players might be discovering Pokémon’s main series for the first time, too, thanks to Pokémon Go, and basically Sun and Moon provide a very good jumping off point, having done away with some of the more head-scratching mechanics of the series that old-timers take for granted.